Last week Tanzania announced that it had frozen more than 11 billion Tanzanian schillings (approximately US$5 million) in stolen assets. This is a landmark achievement in the country’s fight against corruption, and sends a strong message that the criminal and corrupt cannot rest easy in thinking they can live off their ill-gotten gains. The action by the Tanzanian authorities marks the first time that asset recovery had been undertaken in the country. Congratulations are due and well deserved for the Tanzanian authorities in recognition of their efforts. The success of the Asset Forfeiture Recovery Section (AFRS), which is part of the Directorate of Public Prosecutions, is particularly gratifying for the StAR Initiative, given our involvement in recent years in helping the Tanzanian authorities. But while this is a moment to be savored it also serves to illustrate the challenges alongside the potential of the asset recovery process. It has taken a long time and a lot of work to get to this point. It has also required the right conditions for asset recovery to become a reality. 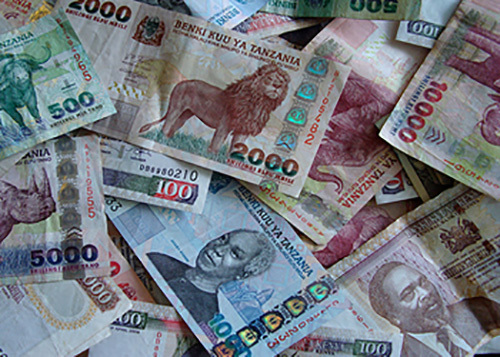 In the case of Tanzania, the process can be traced back to the passing of a Proceeds of Crime Act which was introduced in 1991, to put the country in line with several international treaties. It then took more than a decade until 2011 for the establishment of the AFRS within the Directorate of Public Prosecutions, with the primary purpose of effectively implementing the 2001 legislation. A year later StAR was approached by the Directorate of Public Prosecutions for advice and assistance. StAR provided support, including training in financial investigations, asset-tracing and other tools for prosecutors and investigators as well as members of the judiciary likely to hear asset recovery related cases. With StAR assistance, the AFRS developed a strategic plan. As part of this StAR provided support with an experienced South African prosecutor providing regular mentoring over a period of 18 months. And to further embed the process, in October 2014, the head of the AFRS was appointed Director of Public Prosecutions, giving the issue of asset recovery a strong advocate within the highest levels of the government. At this point the judiciary has delivered three verdicts for freezing and confiscation of suspect assets, while a further 20 cases await court orders for similar actions. Further steps are still required to translate those actions into the final recovery of the assets and using them for the benefit of the Tanzanian people. Corruption steals from the poor. In Tanzania as well as elsewhere in the developing world this theft deprives millions of people of the basics in life such as education, sanitation, and health care. Progress in the fight against corruption cannot come soon enough. The years that it has taken to begin freezing and confiscating stolen assets in Tanzania must seem frustratingly slow to those who have seen money disappearing into the pockets of the criminal and corrupt. More can and must be achieved. But Tanzania’s achievement is highly significant. It marks a start – and one that must been seen as lending even greater urgency to ensure that the fight against corruption and for asset recovery is unrelenting and successful.